Published April 21, 2013 at 981 × 501 in Pending Review: EM06 – Howth Head, Co Dublin. Remnants of Howth head sign, You can just about see the RE and the start of the box frame from the lower left. I’m struggling to see the Howth sign. Where about’s in the image can it be seen? I’d like to go see it in person. For me I see evidence of the sign on the cliff side of the path. 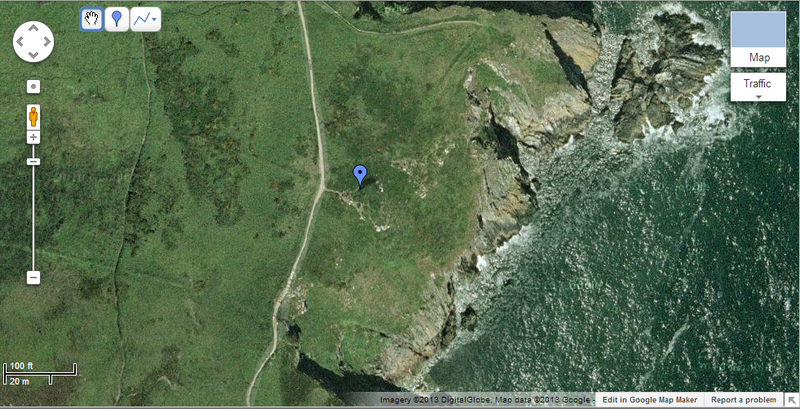 I have also been told that it was further up the hill on the landside of the path. I am reviewing this one. Has anyone volunteered to rejuvenate the Howth sign? With a bit of muscle it could be restored just like the Bray sign. I have been told that yes, Fingal County Council may be looking at cleaning up the Howth sign. I’ve been told it is completely over grown.